Homeowners that have a sump pump in the basement can understand how important it is to keep it working properly. The pump sends water that accumulates in the basement to a drainage spot away from the foundation. Most of them run automatically either through a sensor that detects pressure, or a float activator that rises up as the level of water increases. Unfortunately, one minor issue can cause failure of an otherwise seamless and effective water removal system. Every couple of months it is necessary to do preventative maintenance to ensure that everything is working properly in the pump, especially if it is raining often. 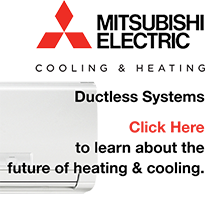 Test that it is discharging water, clear the discharge line, and listen for unusual noises that could indicate the need for repair. Similar to choosing the right air conditioner size, a pump that is larger or smaller than necessary is going to be a problem. Always trust a professional opinion to make sure that you are not attempting to do an important job with a system that is too large or too small. 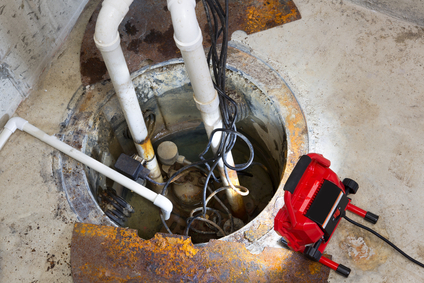 An electrical outage without a backup generator can be a major issue for sump pump owners. A bad storm may fill the pit while the electricity is out, preventing it from emptying the water into the drainage area. Always have a backup system and generator ready, and use a surge protector to prevent damage to the electrical wiring. Pump manufacturers design their products with the expectation of careful installation that follows the instructions. Professional sump pump installation is the way to go for any homeowner that is not experienced or confident in their sump pump knowledge. The pump may shift inside the basin in a way that prevents the float from triggering the pump to turn on. It does no good to have a censor that is not doing one of the most essential parts of the job in timely water removal. If it is cold outside, the pipes can freeze and prevent water from exiting the way it is intended. Make sure that the line remains free from dirt, rocks, and other debris that may accumulate to cause a clog. Learn more about all of our expert sump pump services by calling 856-430-8452or you can simply fill out the contact form. Do not let water damage overcome your basement with expert help from the best guys in the business.